That’s right, folks, two totally different ducks. That takes skills. 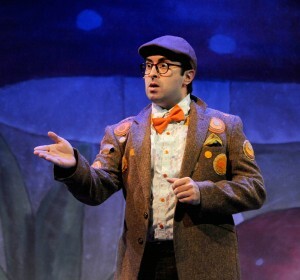 Brian is back to reprise his role as Toad in A YEAR WITH FROG AND TOAD ,running through February 28th, and he took some time to talk to us about how it feels to hop into the play again. I feel like Toad and I have quite a bit in common. Like him, I’m definitely not a morning person. I also am not so sure about scary stories, and have a fondness for cookies. But more than anything, it was the chance to get to revisit the show, and the role. 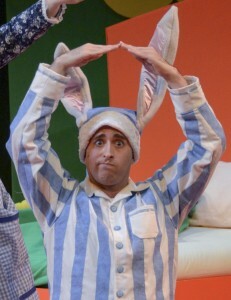 I’ve been fortunate enough be able to reprise roles in multiple shows at Dallas Children’s Theater, but I remember when we were closing the show the first time, all I could think was that this was a show I would jump at the chance to do again. It holds a special place in my heart. The show has a wonderful message of friendship and acceptance. Frog and Toad balance each other out so well. Toad is more than a bit of a worrywart (pun intended), but is quite devoted to his best friend, Frog. Whereas Frog hovers in a bit more of a zen-state, and is frequently amused by all those things that make Toad, Toad. On the whole, it is just a very sweet show. 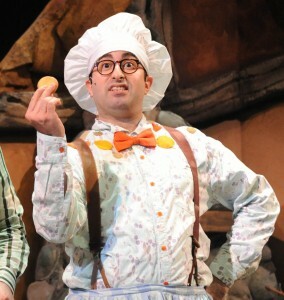 And there’s a whole song devoted to cookies! What’s not to love about that?! It is a very relatable show. Everyone in the audience will see a bit of themselves in either Frog or Toad (or more likely both), because their successes and failures, and the feelings that go along with them, are universal. When I’ve done subsequent shows at DCT, parents will first tell me they remember seeing me with their kids in a past show, which is humbling, and also reminds me how fast time flies. 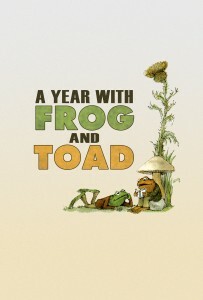 Then they will commonly ask when we’re going to do A YEAR WITH FROG AND TOAD again. That tells me how much the show speaks to the whole family. 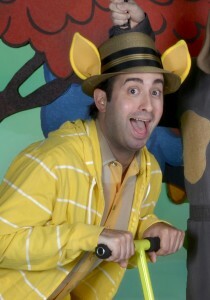 Check out Brian Hathaway and the rest of the loveable cast of characters in A YEAR WITH FROG AND TOAD running through February 28th. Be sure to bring your friends!